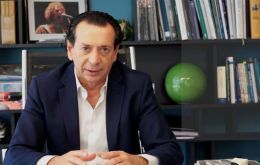 Argentine Production and Labour Minister Dante Sica Monday said in Madrid he was confident the European Union and the South American Mercosur trade bloc would reach an agreement as soon as possible, hopefully by the G-20 Summit in Buenos Aires in late November. Brazil’s far-right presidential candidate Jair Bolsonaro has promised to continue his country's participation in the Mercosur trading bloc but says he will move it away from “ideology”.“The Mercosur has value but it was disfigured by the PT (Brazil's Workers' Party)”, Bolsonaro said at a press conference in Rio de Janeiro on Thursday. “I won’t abandon the Mercosur but it won’t continue to be guided by ideology”, he added. Pollster Datafolha released on Saturday evening its latest vote intention survey for Brazil's presidential election on Sunday 7 October, and it shows extreme right candidate Jair Bolsonaro leading with 40%, followed by Fernando Haddad from the Workers Party with 25% and Ciro Gomes, another left wing hopeful with 15%. Jair Bolsonaro, Brazilian extreme right presidential candidate is leading in opinion polls and also has good strategists. 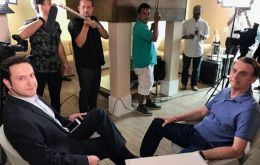 On prime time Thursday when the seventh and last debate of presidential candidates, which he did not attend on medical recommendations, Bolsonaro had a long interview aired at the same time, at his home, in which contrary to his firebrand rhetoric he transmitted a clearly conciliatory message. 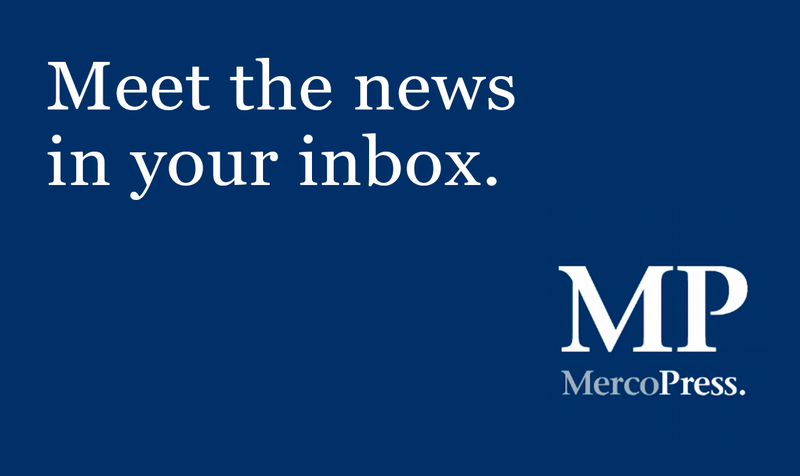 The governor of Argentina's central bank, Luis Caputo resigned on Tuesday for personal reasons, the bank said in a statement, a surprise announcement in the midst of the country's talks with the IMF that sent the peso tumbling. Former finance minister Caputo has only held the role since June and is the second Argentine central bank president to resign this year. Argentina's peso currency slid 4.65% to open at 39.15 per U.S. dollar after the announcement, traders said. 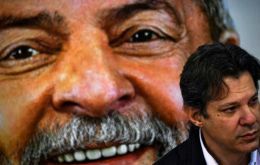 Jailed former Brazilian president Lula da Silva is expected to allow his Workers Party to announce running mate Fernando Haddad as its candidate, following the latest ruling from the Supreme Court. Lula had hoped the Justices would agree to an appeal for more time to switch the head of the Workers Party (PT) ticket after Brazil’s top electoral court last week banned him from running due to a corruption conviction and gave him 10 days to remove his name. 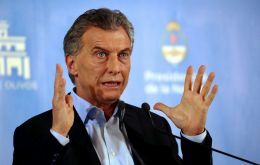 President Mauricio Macri unveiled plans on Monday to raise export taxes on grains and slash the number of government ministries in a bid to balance its budget next year, as Argentina seeks a deal with the IMF to accelerate a US$ 50 billion standby loan program. 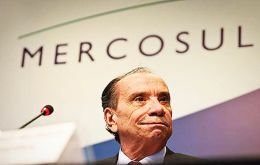 Brazil's Foreign Minister Aloysio Nunes said he expects more movement from the European Union as long running talks on a free trade deal with his South American bloc Mercosur head into the home stretch. 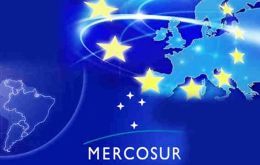 Negotiators of a free trade deal between the European Union and Mercosur want to wrap up by September, but differences over beef, sugar and the auto industry could dash those hopes, Brazilian foreign minister Aloysio Nunes said. Issues over intellectual property, rules of origin and marine shipping services also need to be nailed down, Nunes said in an interview. Brazilian farmers are expected to plant a record amount of soybean acres this coming season, encouraged by strong demand from China, and yield a record harvest next year, consultancy Céleres said in its first forecast for the new cycle. 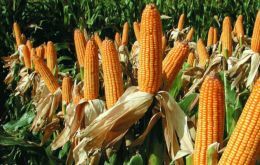 The next crop cycle in Brazil, the world's No. 1 soybean exporter, begins in September.